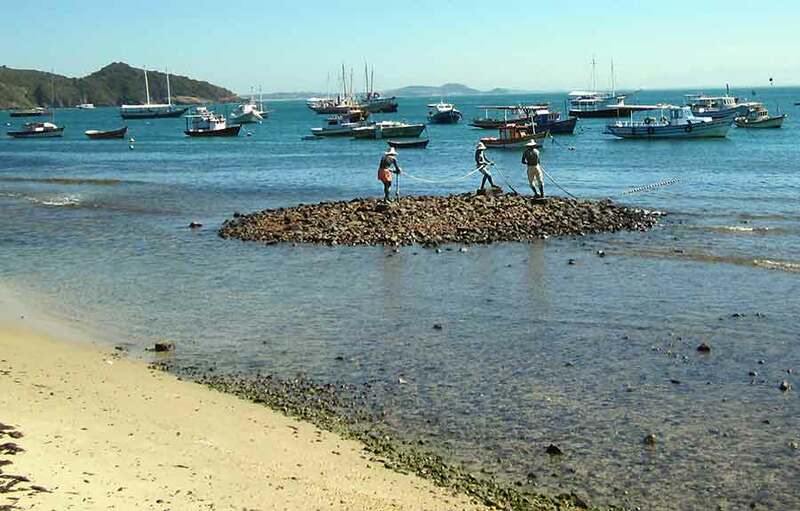 Buzios became busier towards the weekend - it was a bit like like Dartmouth in November. The tourists, having to dodge the rain showers, were looking rather glum, and the really good restaurants were busy but most were either very quiet or closed. The yacht club was also very quiet though we were warned they would be having an 'event' on the Saturday. When the marquees went up on Friday and they tested out the sound system we realised it would be in our best interests to move on. As we left on Saturday afternoon the club event had not started, but a dinghy with sail number BRA 1 had been launched and was trying to coax a little speed from the non-existant wind - it must have been something to do with the Brasilian olympic sailing team, based at the club. We motored around two headlands and anchored in the neighbouring bay - described in the pilot as pretty with a pleasant wooded backdrop. A hotel development has eroded the backdrop but it was a good place for a quiet night ahead of an early start: we were up at 5.30 the following morning preparing for our next passage. As we left the anchorage we got caught on a fishing net that had been laid around us as we slept. Perhaps the fishermen were not expecting us to get up and leave so early. Fortunately, we managed to avoid getting it caught round the prop (in which case the cutter would have shredded it). There wasn't much wind so we motorsailed south, with the waves slowing us down at first. After 20 miles we reached Cabo Frio, the point where the Brazilian coast turns west and where the weather can be quite fierce, but it was gentle for us. The coastline is very scenic, with many islands and seabirds galore. There's a frigate bird colony (collective noun?) there and it was fascinating to see so many flying around, with their large wingspan and forked tail, though they're not a particularly attractive bird. 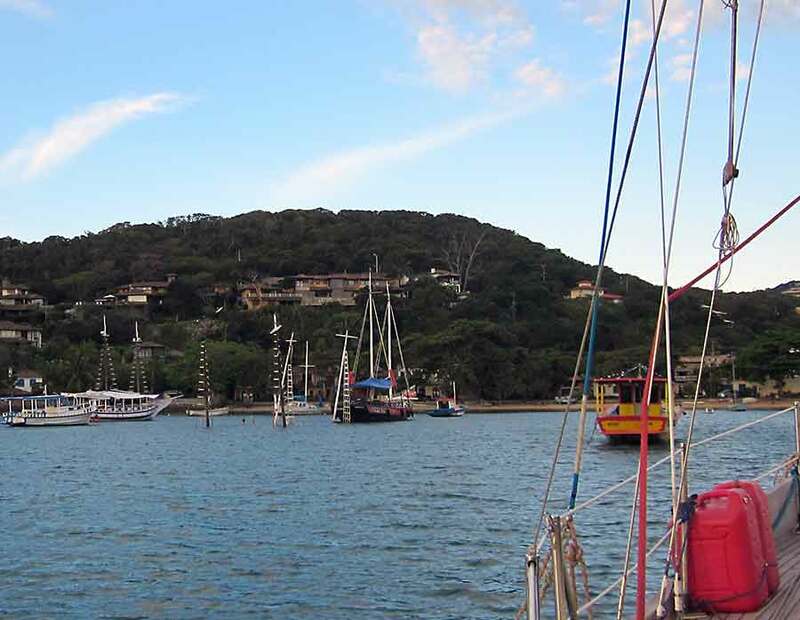 Heading west from Cabo Frio, we sailed past more oilfields and then, at midnight, the entrance to Rio de Janeiro. 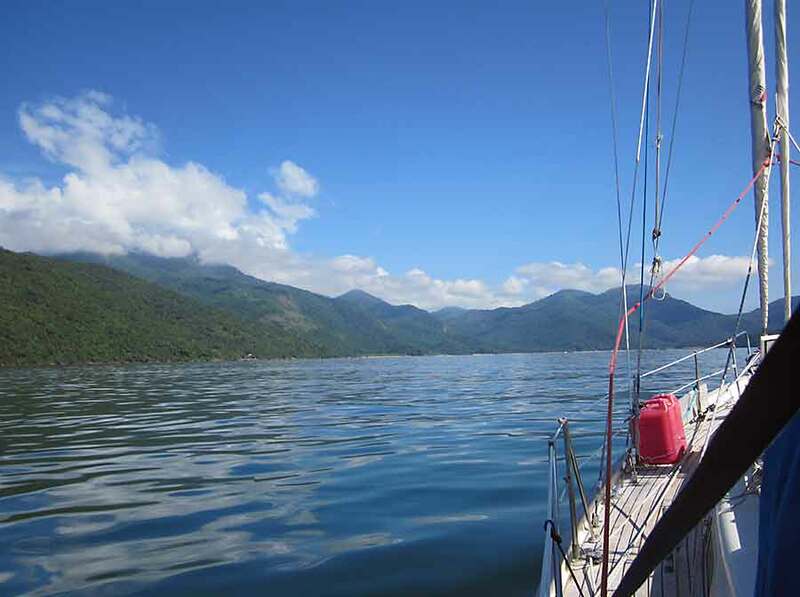 We'd already decided to leave the experience of sailing into Rio harbour until we have time - and a good weather forecast - for sight-seeing. 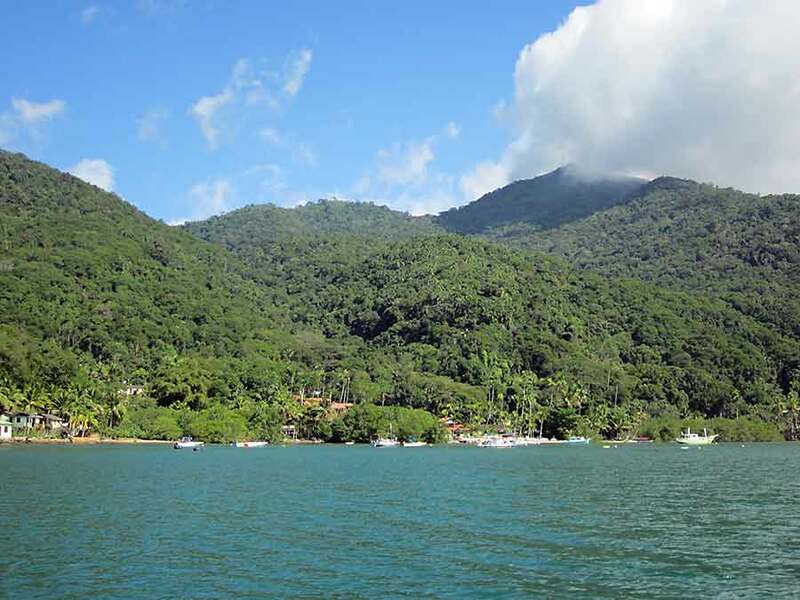 Instead we carried on another 60 miles to Ilha Grande.